Home / Auto Bets / Loss Factor / Is it safe to play for long hours? If you are gaming in crypto gambling sites then you might have definitely played on it for too long once a while and that day will most likely be one of the worst days in terms of profit. Why is it so? If you have played for too long than you must have definitely made more profits. Why is it that you most likely end up behind when you play for too long? Its because the longer we play the more likely we become prone to making mistakes. Mistakes are not at all good specially when we are gambling. This is why most of the crypto gambling sites have chats with reward system to reward those that are actively chatting. If you are active in the chat than you will most likely be gaming too in the site. This is simple trick used by the sites to reward pennies and take dollars from us. While chatting we do loss focus in the game and its not at all good for us. So make sure you do not chat and play. Why you do not see high rollers in the chat most of the time is because they are busy making profit and giving their full focus on the game. If you are going to chat and play set your auto bets safely. See also: How to properly set up auto bets? On top of all this there is the provably fair system in place too. Which guards both the house here the site owners and those that are playing. Its not going to pay you out big amounts, it will try its best to make it a sustainable business for the site owners. The longer you play the more chance arise for you too loss it all as gradually your bets will get bigger and bigger. Bigger bets will be a loss most of the time as the system is not designed to payout big and it will only payout at a sustainable rate that's where you get the biggest draw down of your balance happens. It does happen out of the blue that you once a while get paid big but if you continue playing after that hit you will most likely loss that big win and even more than that too. Which is happening to almost all. 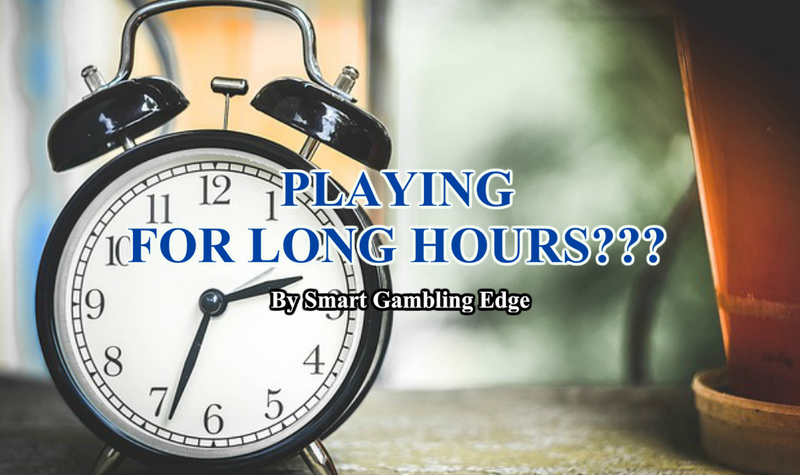 So to answer the question: Is it safe to play for long hours? No, its not at all safe to play for long hours. The best way to play is to play for short sessions and take regular breaks. For me personally, short sessions of 30 mins and a break of 30 mins have provided me with the best results. Always make sure to keep your sessions short and make it the most profitable too. 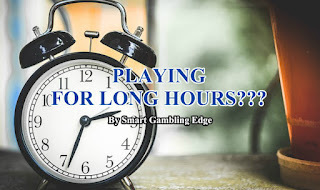 Its best to play for 30 minutes & take an average profit than to play for too long with less than the average profit with the high chances of getting busted too. If you have work you can divide your time to one short morning session and one short night session. Why you should not play for too long? You will make the least profit as you will most likely play with the minimum base bet to make the session last as long as possible. Most of the time you will end up in a chase to recover your lost balance as there is a high chance of big loss streak most of the time in a long play session. Be wise and play for a short time only it will save you both your valuable time and make you some profit too at the same time. Have you ever played for too long and made good profits? If yes, let me know down in the comments below. Would like to know more about the strategy that you used.